Over the past few months I have started to develop an interest in living more in tune with the seasons, following the rhythm of the natural world more closely and observing the Celtic festivals that celebrate the passing of the year. Maybe it’s the part of my soul that feels a nearly archaic pull towards the Celtic nations that demands that I go in search of that heritage. Maybe it’s the growing awareness with age that life does not follow a linear progress, but a cyclical rhythm, that asks me to align my life to the seasons. Whatever the case may be – paying attention to the wheel of the year is a practice that I am growing increasingly attuned to and something that has been teaching me a lot on how we can live more in tune with our Earth in a short period of time already. 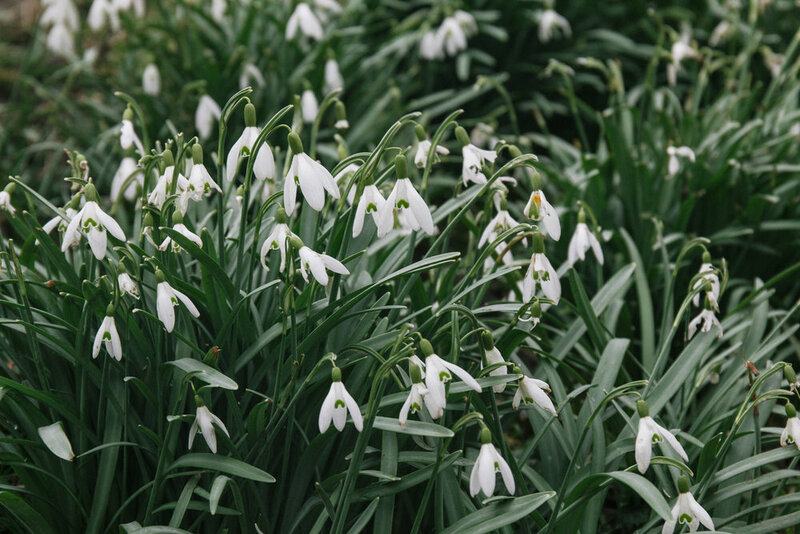 Last weekend, we celebrated Imbolc, the magical halfway point between winter and spring. 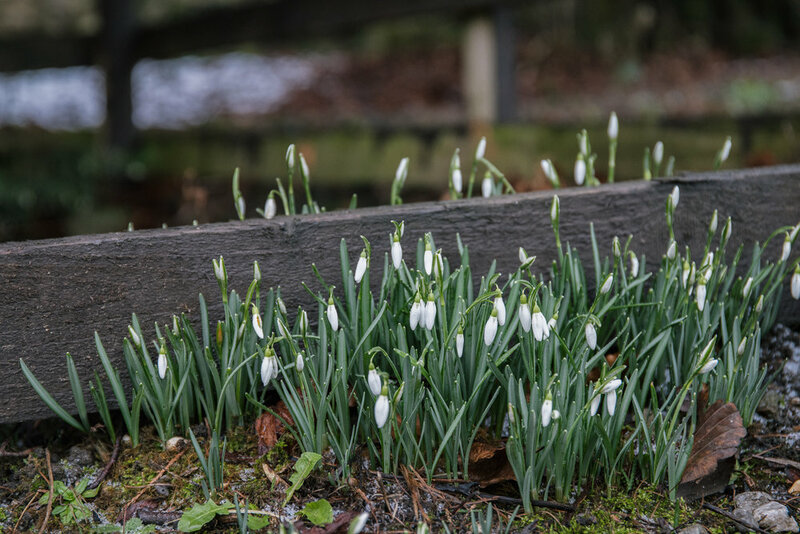 Nature is slowly coming back to life again: The first flowers start to bloom, the days grow visibly longer and the world begins to shed the heaviness of winter. It is a period of time full of expectancy, a period of time where everything seems to just be waiting to burst into life. Just as the natural world prepares itself to be reborn again in the spring, so do we also awaken from our slumber and begin to look ahead at the season that is to come. And as such it is the perfect opportunity to set intentions and goals for the year for those of us that never quite feel inspired to set new year’s resolutions on January 1st. My overall goal for 2019 is really very simple: In 2019, I am going to reclaim ownership of my life. 2018 was easily the most challenging year of my life. I started the year in the midst of the worst episode of depression I had ever experienced, had my heart broken as winter morphed into spring and consequently spent the entire season trying to make sense of what looked like the shambles of my life. Everything I had known and counted on seemed to have been uprooted from its spot and I felt as if I had lost all control over my mind and physical existence. It was all I could do not to drown underneath of the waves of sorrow that had permeated my life so very suddenly. By the time summer rolled around, my emotions had began to settle down a bit again. I finished law school and with the stress of exams off my back, it suddenly became a lot for me to consider how the rift in my life could turn into a good opportunity for new beginnings. I left Heidelberg – the city that had been my home for the past seven years – and visited my absolute dream travel destination. I started to work interim at a law firm in my hometown and learned to have confidence in my abilities again. And then I finally moved across the country to a new city to embark on the next stage of my legal education by clerking at a local court. Needless to say, things were looking up. I am able to see now that all the difficult times of early 2018 were absolutely necessary for me to get on a positive track in my life again. It was only through having to build up myself again after my life being ripped apart, that I was reminded of who I truly was and able to see just how terribly lost as a person I had been before. 2018 was hard, but somehow I managed to come out on top of it – and with the worst of that breakdown behind me, I have naturally begun to wonder what will come next. So that is where my word of the year for 2019 comes in: Reclaim. My theme for 2018 may have been survival, but I don’t just want to survive anymore – I want to start to truly thrive again. I don’t just want to live in reaction to circumstances that are outside of my control, I want to dare to forge my own path and to finally pursue some of the dreams that I’ve had for years, but pushed to the side for various reasons before. I want to leave the hurt and the pain from the past behind and embrace the presence more ferociously than I ever have before. In terms of true practicality, I simply want to make more room in my life for creativity. And right now making more room in my life for creativity simply means to consciously carve out time in my weekly schedule to just write. Truth be told, I am not really sure where I am trying to go with this. I do have some goals for my writing, but at the moment they feel just a tiny, little bit too big and scary to voice. But for now simply sitting down to write almost every day regularly training my writing muscle again is all I feel called to do. Or to put it into the terms of Imbolc: This is my time to sow the seeds for the future of my creative practice. I am excited to see which blessings 2019 will have in store for me and I hope that life won’t throw me too many curve balls to deal with this year. If I have learned one thing in 2018, it’s that everything in life can change in the blink of an eye - but those changes don’t always have to leave you confused and broken. And even if they do: we are survivors. And we have it in ourselves to take ownership of our existence and to reclaim our lives over and over again.